Winter -- it's nature's way of reminding us to get a fire going, put on a jumper, and start mulling our booze again. And apparently, it's also nature's way of reminding us that there are a bunch of great events taking place in London, too. Editor's Note: We'll be updating this throughout the season, so keep checking back to stay up to date on all the best winter happenings. Catch a flick at the Underground Film Club As the nights seem forever long, the Roof Top Film Club has brought their show for another season below the surface. Deep beneath Waterloo station with chow from RockaDollar and Hixter, plus drinks from the Bar Wizards, catch all your favorite classics like Home Alone, Love Actually, and Die Hard. 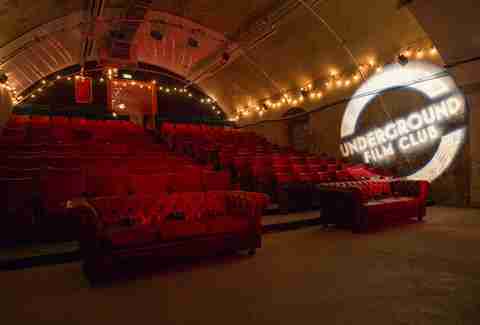 Catch a flick at the Underground Film Club The Vaults As the nights seem forever long, the Roof Top Film Club has brought their show for another season below the surface. Deep beneath Waterloo station with chow from RockaDollar and Hixter, plus drinks from the Bar Wizards, catch all your favorite classics like Home Alone, Love Actually, and Die Hard. Take in the Tottenham Ploughman WinterFest For one day, the Bruce Castle Museum will become a haven of local Tottenham goods, with award winning cheeses from Wildes, local beers from Redemption, and a ton more. Take in the Tottenham Ploughman WinterFest Bruce Castle Museum For one day, the Bruce Castle Museum will become a haven of local Tottenham goods, with award winning cheeses from Wildes, local beers from Redemption, and a ton more. 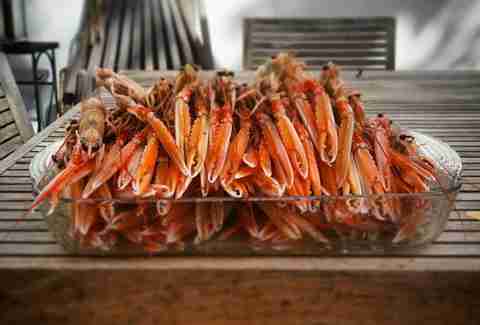 Get supper with the London Shell Co. After hosting a slew of canal-based popups, the seafood slingers behind the London Shell Co. are on terra firma for their latest popup. Prepare for four courses of wine-paired goodness. Get supper with the London Shell Co. Nutkin and Co. After hosting a slew of canal-based popups, the seafood slingers behind the London Shell Co. are on terra firma for their latest popup. Prepare for four courses of wine-paired goodness. 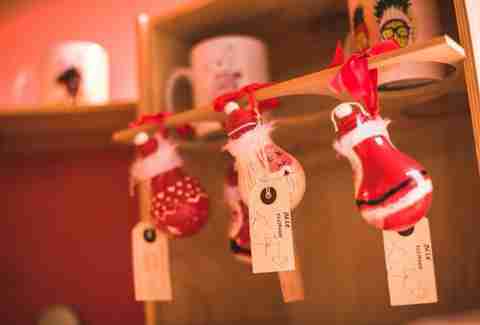 Hit The Shoreditch Christmas Market Buying Christmas gifts can be a soul destroying experience, but of course Shoreditch gives you a way to do it in style. Over at the Red Gallery, grab chow and booze from the Tokyo Nights crew, and mull over your gift list with stalls filled with local art, jewelry, textiles, fashion, and everything in between. Top marks if you can knock out the whole list in an afternoon. Hit The Shoreditch Christmas Market Red Gallery Buying Christmas gifts can be a soul destroying experience, but of course Shoreditch gives you a way to do it in style. Over at the Red Gallery, grab chow and booze from the Tokyo Nights crew, and mull over your gift list with stalls filled with local art, jewelry, textiles, fashion, and everything in between. Top marks if you can knock out the whole list in an afternoon. Join in a Prohibition Party After a brief hiatus, the ultimate speakeasy party is back to ring in the new year with that little bit of glam you never knew you needed. Get decked in your 1920s finest to dance the night away in an art deco paradise compete with live bands, flappers, silent cinema, gambling tables, and much more. Leave your morals at the door and just hope the coppers don’t bust the party before midnight. Join in a Prohibition Party Secret Location After a brief hiatus, the ultimate speakeasy party is back to ring in the new year with that little bit of glam you never knew you needed. 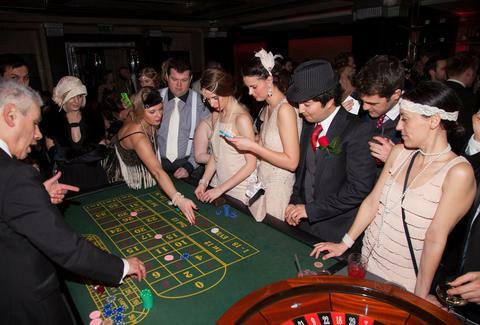 Get decked in your 1920s finest to dance the night away in an art deco paradise compete with live bands, flappers, silent cinema, gambling tables, and much more. Leave your morals at the door and just hope the coppers don’t bust the party before midnight. Get down at the Disappearing Dining Club’s Dinner Dance Yep, the folks behind the spectacularly fun DDC are back to welcome in another new year -- and they’re doing it in London’s only damn lighthouse. 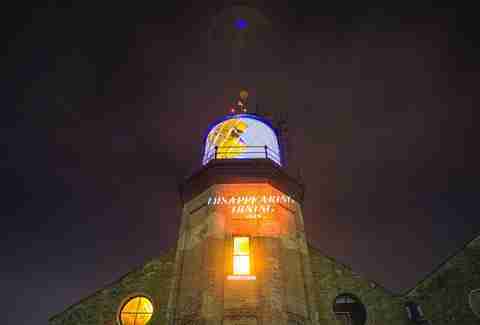 Get down at the Disappearing Dining Club’s Dinner Dance Thames Lighthouse Yep, the folks behind the spectacularly fun DDC are back to welcome in another new year -- and they’re doing it in London’s only damn lighthouse. See the Legends of Darts in the flesh We can think of 180 reasons why you’d want to go to this show, so for God’s sake, get yourself a ticket. See the Legends of Darts in the flesh Indigo at the O2 We can think of 180 reasons why you’d want to go to this show, so for God’s sake, get yourself a ticket. Hit the Adventure Travel Show Regular old travel a little too tame for you? Then you should take a trip to Olympia, where you’ll find info on some thrill-laden holidays, along with seminars on travel writing and photography. Hit the Adventure Travel Show Olympia London Regular old travel a little too tame for you? Then you should take a trip to Olympia, where you’ll find info on some thrill-laden holidays, along with seminars on travel writing and photography. Brave the Cancer Research UK Winter Run Yep, take on 10k’s worth of ice-cold running to raise money for cancer research. Expect snow cannons and hugs from polar bears along the route to make it all more fun. 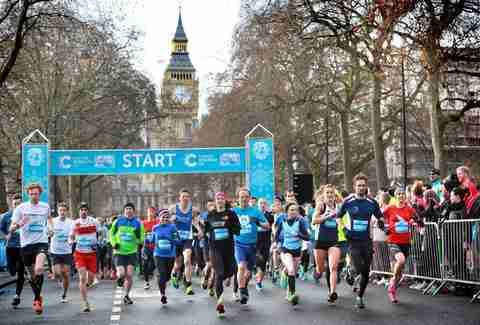 Brave the Cancer Research UK Winter Run Various locations Yep, take on 10k’s worth of ice-cold running to raise money for cancer research. Expect snow cannons and hugs from polar bears along the route to make it all more fun.